These images are from the City of London Museum. 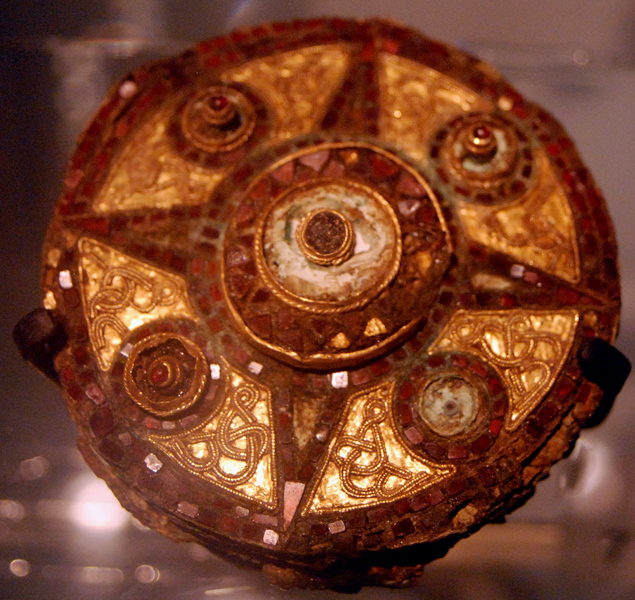 Brooch found at Covent Gardens and dating to the mid - 600s; copper with garnets and goldwork. 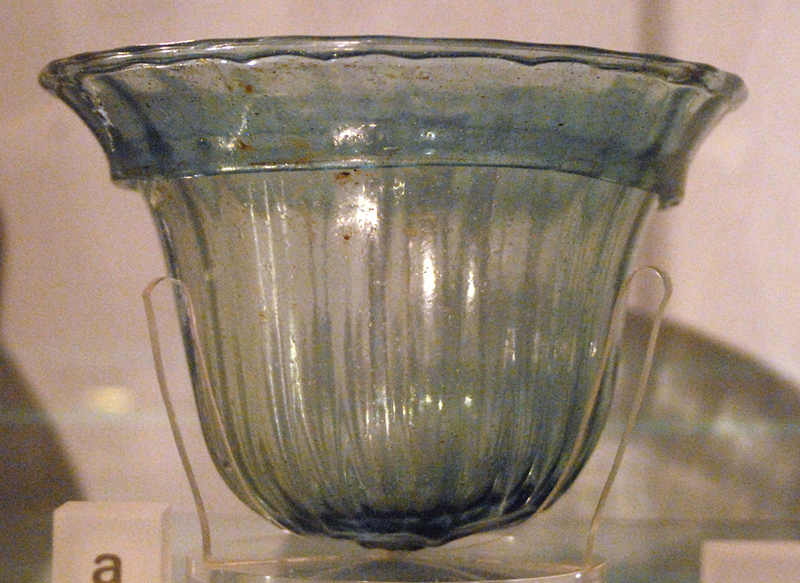 Bone comb from AD 700 to 800. From the Royal Opera House archaeological site in London. 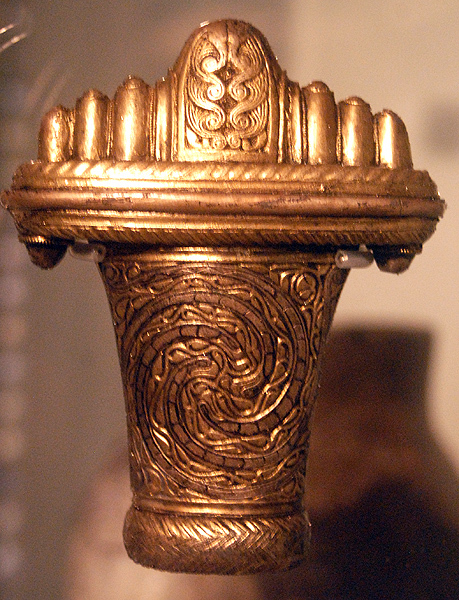 Sword hilt (replica) from Fetter Lane in London; dating from AD 600 to 800. 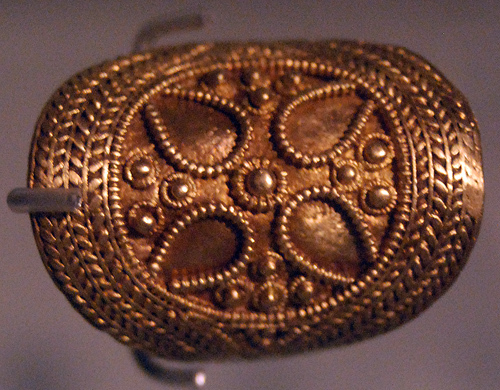 Bent copper alloy brooch from London; dating AD 600 to 800. 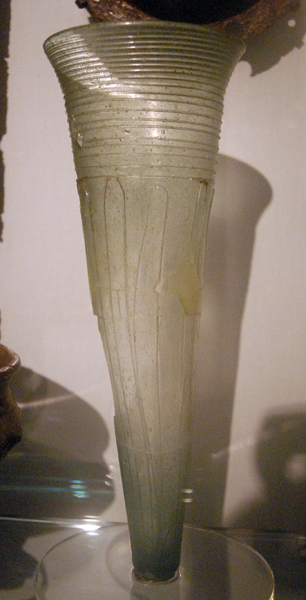 Glass beaker (AD 400 to 500) .